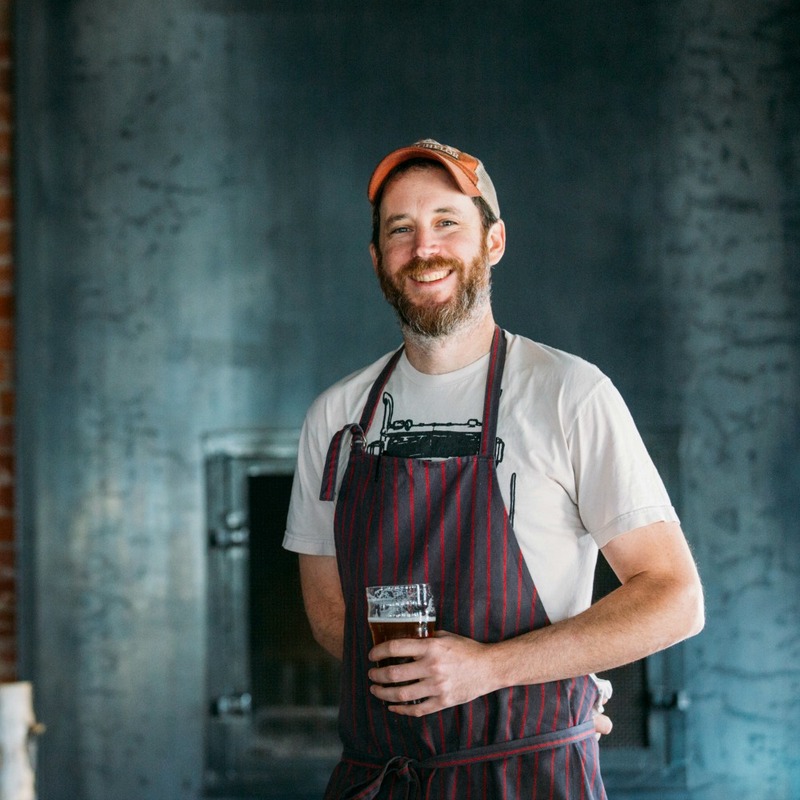 The head chef for LFA's annual Elevated Table dinners, Sean Temple of the Warfield Distillery and Brewery embodies the ideals of the farm to table movement. At the Warfield, he works directly with local and regional farmers to source the freshest seasonal ingredients, and builds his menus around them. On most Tuesdays throughout the market season, he can be found shopping for fresh-picked produce at the Wood River Farmers’ Market in Ketchum. My mom, for sure. Eating home cooked meals every single night growing up was a definitely a push in that direction. Most importantly, though, my partner Yoon of 17 years. She pushed me into going to culinary school after leaving the finance industry, to moving to NYC to work at Jean Georges, and has always been my harshest critic to keep me pushing myself. Why is using fresh locally grown ingredients so important to you? It keeps the menu ever changing and keeps you tied into the seasons and environment you’re in. Plus the connections you make with the people who are growing and raising the products you use is more than worth it. I love to be able to tell customers that I can tell them who grew most everything on our menu by name, that it’s not all off the back of an 18 wheeler. Describe one locally inspired dish you whip up for a quick meal? Maybe not the quickest meal, but yesterday I braised an Anderson Valley Ranch lamb neck. While that cooked, I went to Ketchum farmer’s market, bought an awesome tomato and basil focaccia from Raspberrys, garlic scapes from Agrarian Harvest, zucchini from Waterwheel Gardens, shredded all the meat up pretty much threw it all on my grill and made a fancy pizza. Typical Tuesday! If you could be any fruit or vegetable, which you would you be, and why? How can chefs and restaurant-goers support local farmers? Care! Understand how much work goes into that product they are putting front of you and that it may cost a bit more than what you’ll find in the supermarket but once you taste it, you know exactly why it does. Go to the farmers' market and buy their products, join a CSA, support restaurants that support the local farmers. How do you feel about certified organic? Not the biggest thing, in my opinion. How many smaller farms can actually even afford to pay for the certification? Responsible and sustainable are much more important to me and you don’t have to pay someone for them to tell you that’s what you are. Ask the farmer how they raise their products, odds are they will be more than happy to tell you about the care that goes into growing their food. Afterward, ask yourself if that USDA stamp is that important. My mom. Everything I’ve learned from her over the years in the kitchen is invaluable. Just seeing how easily having dinner together every night as a family makes the family tighter and stronger. Food is a powerful thing. What is your main concern regarding the U.S. food system? Losing heirloom seeds and going the way of GMO foods. After living in Oregon for nine years, I never realized the amount of produce that I never even knew existed. Seeing how farmers raised produce that was indigenous to just their valley, their own microclimates, was amazing. People should know truly what is in season and to know that certain ingredients just aren’t meant to grow year round. This is the most rural / isolated place that I have lived, and it’s actually pretty amazing that we have such access to locally grown ingredients and are able to get them delivered year round. Obviously, more abundance would be great, but I completely understand the logistics. The biggest thing I’d like to see, though, is more availability of local meats and poultry. Beef is very easy to get here, but I’m really surprised how difficult it is to get lamb and pork, and I would love to find someone who raises goat, I’ve been asking around for two years now. If there was one thing that would make it easier to source locally, what would it be? Options. I feel the options just aren’t there yet. And by that I mean for restaurant consumption. It does get a bit difficult for some of the smaller farms in the area to support a menu because they just aren’t big enough yet and they have to charge just a bit too much and, unfortunately, that has to trickle down to the customer. And people here love to tell you when they think you charge too much. This is something that hopefully changes in time through education.